Indian Telecom Industry is now the fastest growing sector, as mobile usage is witnessing staggering growth rate of 16.7% with revenues of more than 3 Lakh crores. Due to this incredible success story, Telecom Industry is now India’s third largest sector. With more than 80 crore mobile phone users all over India, it is becoming imperative that communication is the driving force for our economy. Be it urban location or rural areas, mobile phone is now the most sought after tool. It is no longer a luxury but has transformed into a necessity. As it happens with every industry, when the user-base becomes huge, then the service providers tend to forget about user-experience. They forget that it is the users which are driving the amazing growth, and it is the users which should be taken care of before meeting their sales target and revenue projections. Octane had conducted a research called: Indian Mobile User Experience Monitor 2013 wherein they asked 2892 mobile users about their experiences with their telecom service providers. These respondents were selected from an age group of 21-34 years, out of which 66% were male and 34% were female. One interesting observation about this research: 64% of the respondents were smartphone users, as mobile Internet has started playing a very crucial part in the overall picture. Just for facts, during August, 2012, more people accessed Internet using their mobile phones compared to broadband/landline method. 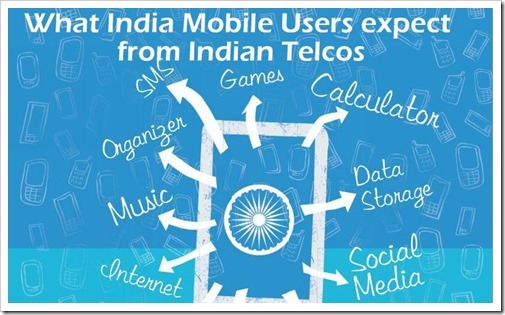 With 130 million Internet users all over India, mobile internet is definitely big. And talking about smart phones, out of 650 mobile handsets launched in the year 2011, 195 were touch screens, which clearly indicates that today’s modern and hip Indian mobile user wants more features and more services. 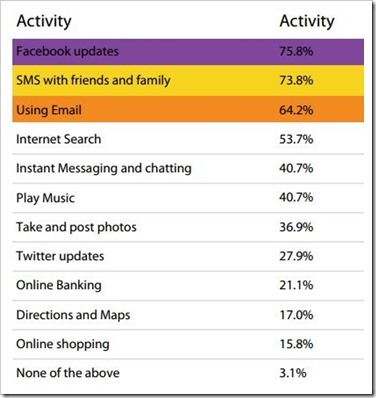 Another very interesting observation: 75% of all respondents used for this survey had internet enabled on their phone! Attention to Non-Smartphone users – Service providers should pay greater attention to Internet usage by non-smart phone users compared to smart phone users. They should bring out more plans and maybe incentivize their usage to encourage more internet users on mobile. Better Network – 36% of respondents experienced dropped calls on a daily basis. Only 11% never experienced this unwanted activity. Telecom service providers should immediately focus on this issue. Thrust on Mobile Transactions – It has been found that Online Banking and Online Shopping are the least utilized activity by Indian mobile users. It is bad for the market. Banking institutions and Telecom service providers should team up and create an environment where more and more mobile users transact online and use ecommerce for their shopping requirements. Reduce Internet Charges – The cost of internet usage via mobile should be kept low to encourage greater usage via smart phones. Pesky Callers / SMS menace – The frequency of promotional messages by brands is irritating for Indian mobile users. It is high time that brands restrict themselves from over-promotion and spamming us with continuous promotional messages. – Now the interesting part, most of the respondents preferred email promotional messages compared to SMS. Hence, there is a strong message for brands out here: conduct creative email marketing campaigns, and built a list of loyal followers. And then offer them promotional messages and offers for better sales. It was revealed that more buyers purchase products when promoted via emails compared to SMS. I am sure most of the readers of this post would be smart phone users, as were the respondents of this research. What is your take on these results? Would you like to share any suggestions for your telecom service provider? Pour in your thoughts over here! 5 Indians Who Made It Big At Google! That’s the wish list of every Indian mobile customer who are owning from even Nokia 1100 to HTC One. Indian Mobile operators are so greedy they charges a lot for calls, messages, internet …… everything. We need a change in the telecom Industry.